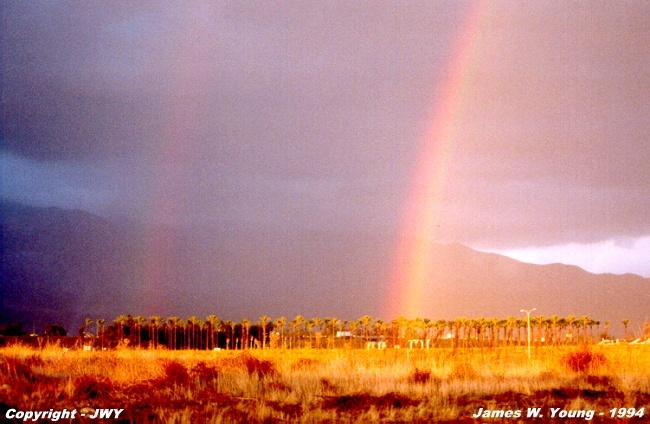 the northeast in the picture, with the rainbow standing out well against the dark rainy background. If you examine the picture carefully, you will see the secondary rainbow well to the left of the primary. 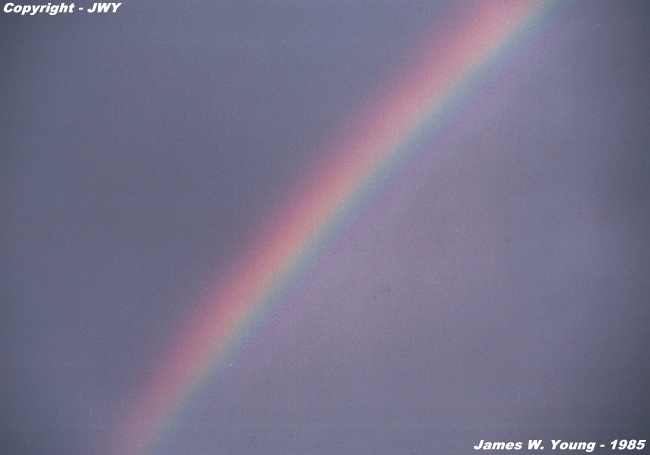 is called the tertiary rainbow.